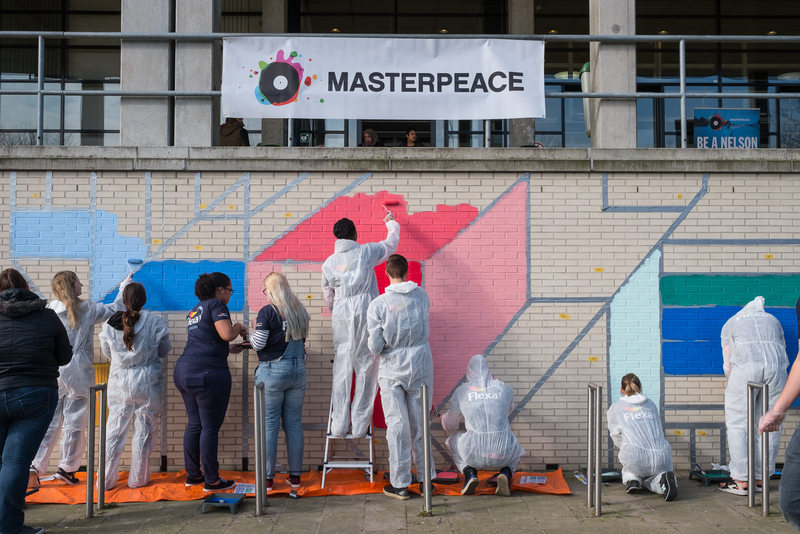 AkzoNobel and MasterPeace Join Forces to Color 100 "Walls of Connection"
March 24, 2017 /3BL Media/ - People living in more than 40 countries around the world are to benefit from a partnership between AkzoNobel and global peace movement MasterPeace which will involve painting 100 walls. Launched today in Rotterdam, the Netherlands, the Let's Colour Walls of Connection initiative aims to inspire and energize cities around the world and make people's lives more liveable and inspiring. 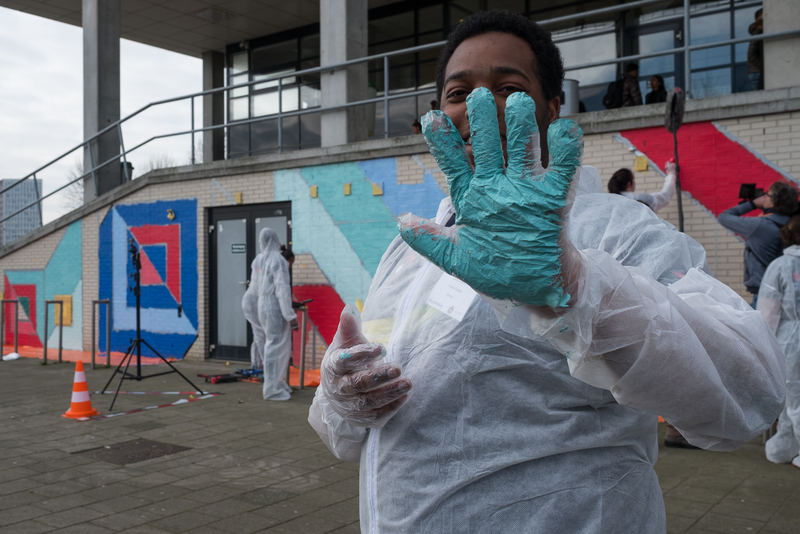 "With a little bit of paint and a lot of creativity, artists and communities are coming together to 'color peace'," explained Annemieke Kievit, Director of Public Affairs and Human Cities at AkzoNobel. 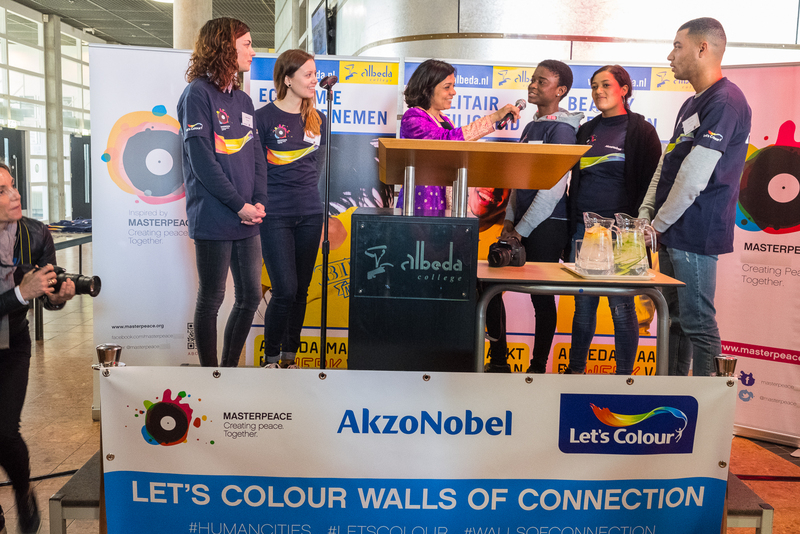 "The community events will take place in cities all over the world, from Indonesia to Brazil, and will involve hundreds of artists, AkzoNobel employees, MasterPeace teams and thousands of local participants." The initiative will also enable the two partners to contribute to two of the United Nations Sustainable Development Goals focused on creating sustainable cities and communities and forming partnerships to achieve those goals. "We see walls being built around the world and aim to turn those walls into bridges that connect people by using the power of color to transform them," added Aart Bos, MasterPeace Global CEO. "We believe in the power of togetherness, and by transforming these walls into bridges, and connecting rather than dividing people, we also hope to change the walls we have built up in our minds." MasterPeace is an award-winning global non-profit and non-governmental peace movement which operates in more than 45 countries and aims to mobilize people around the world to use their talents for peace building. Commenting on today's launch, Ruud Joosten, AkzoNobel's Executive Committee Member responsible for Decorative Paints, said: "This is a great way for us to engage people around the world through our Let's Colour and Human Cities initiatives. Let's Colour believes in the power of paint brands like Dulux to improve people's lives, while Human Cities aims to revitalize cities around the world and make them more liveable and inspiring." 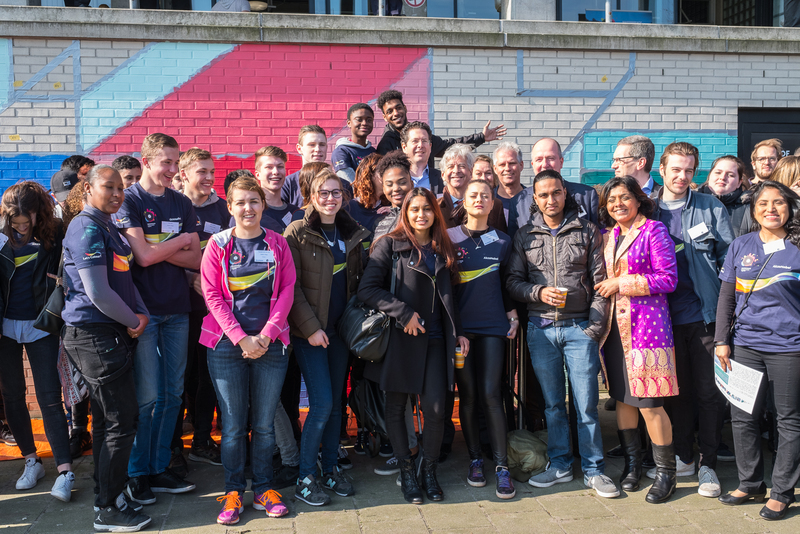 Officially launched in Rotterdam, the first of the 100 Let's Colour Walls of Connection is being painted at the city's Albeda College, which is celebrating 25 years of being a local hub for diversity. 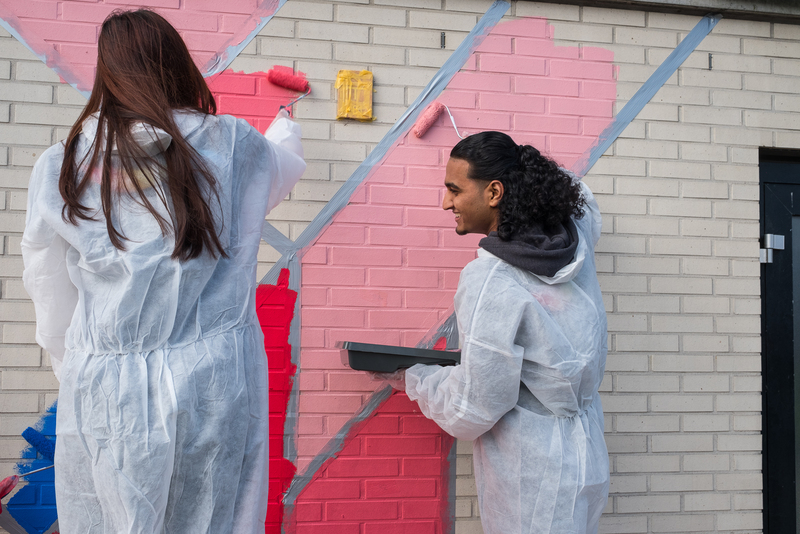 The college invited its students and local communities to paint a wall projecting their dreams of "a more inclusive and embracing future for all." AkzoNobel's Human Cities initiative is an active expression of our company purpose to create everyday essentials to make people's lives more liveable and inspiring. It's everything we do for and with society and is our commitment to improving, energizing and regenerating urban communities across the world. The initiative has helped to revitalize favelas in Rio de Janeiro, Brazil, as well as creating jobs for young people in the UK. It is also making sport more accessible to young people and helping to restore historic landmarks, such as Burkill Hall in Singapore and the Rijksmuseum in Amsterdam, the Netherlands. MasterPeace is an award-winning grassroots peace movement that officially launched in 2011, with hubs in Cairo, Utrecht, Tbilisi, and Mexico City and currently active through MasterPeace Clubs in 45+ countries, primarily in conflict areas, involving thousands of young peace builders. MasterPeace's vision is to inspire everyone to use their talent and energy for building peace and togetherness. MasterPeace will help lead the way to a more sustainable world and bring people together using music, art, creativity, positivity and inspiration. By 2020, MasterPeace will mobilize, inspire, connect and train 200,000 Nelsons. They will form a global positive inclusive movement that aims to prevent and transform new conflicts, including most of the (former) conflict areas, but also within inner cities in the western hemisphere. MasterPeace mobilizes its global communities to help the world achieve the United Nations Sustainable Development Goals (SDGs).